The Health Care for the Elderly (HCE) Department, centred in Plymouth, aims to provide modern, progressive, high quality health care for older people. We are up-to-date, forward thinking, and comprehensive, able to cater for for the full range of medical and social needs of patients across Plymouth, South Devon and East Cornwall. 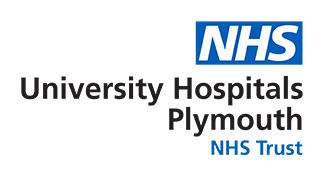 The Department is based both at Plymouth Hospitals NHS Trust (Derriford Hospital), where all acute and urgent care for patients takes place, and across community sites where there are extensive facilities for rehabilitation and longer term care. At Derriford there are four general in-patient HCE wards for the care of patients with sudden acute illness and complex disease (Hartor Ward, Hembury Ward, Monkswell Ward, Shipley Ward), together with two wards providing Orthogeriatrics care (medical care for people with orthopaedic trauma). The HCE Department is allied closely with a specialist Stroke Unit managed by Stroke specialist colleagues. Community hospitals are in Plymouth (Mount Gould Hospital) and Cornwall (Liskeard Hospital). We offer outreach services to patients in Plymouth, East Cornwall and South Devon inclusive of Kingsbridge’s South Hams Hospital. Outpatient general and specialist clinics (including Falls and Parkinson’s Disease clinics) occur at the modern and comfortable facilities of Mount Gould Hospital, Liskeard Hospital and South Hams Hospital. HCE teams are integrated teams of medical staff, nursing staff and therapy staff (physiotherapists, occupational therapists, speech & language therapists, dietitians) liaising where need be with social work teams and other specialty teams to provide full, compassionate, holistic medical and social care for patients. We work exhaustively with families and carers to provide the best care for vulnerable patients with frailty and dementia. Many of our patients have highly complex needs. Providing for all of these needs with an emphasis on up-to-date medicine and quality care is our paramount philosophy. We are an extremely friendly department, and all elderly care physicians are renowned for their approachability, eagerness to teach, friendliness and inspiration. We feel lucky, too, to be situated in a fabulous part of the country, in Devon’s historic and oceanic city of Plymouth nestled between the stunning South Devon and Cornwall coastlines. A multi-disciplinary service working with patients on falls prevention and management, working with the cardiology department and secondary prevention of osteoporosis. A multi-disciplinary service with a care pathway for patients managing this condition, within the community. Patients who have suffered with a stroke are mostly managed within the acute stroke unit. Close working with the Healthcare of the Elderly teams ensures that the needs of older people who have suffered a stroke are appropriately co-ordinated. Focuses principally on trauma in older people. The Healthcare for the Elderly team consists of medical staff, nursing staff and therapy staff (physiotherapists, occupational therapists, speech & language therapists, dietitians) liaising where need be with social work teams and other specialty teams to provide full, compassionate, holistic medical and social care for patients. We work exhaustively with families and carers to provide the best care for vulnerable patients with frailty and dementia. Many of our patients have highly complex needs. Providing for all of these needs with an emphasis on up-to-date medicine and quality care is our paramount philosophy.